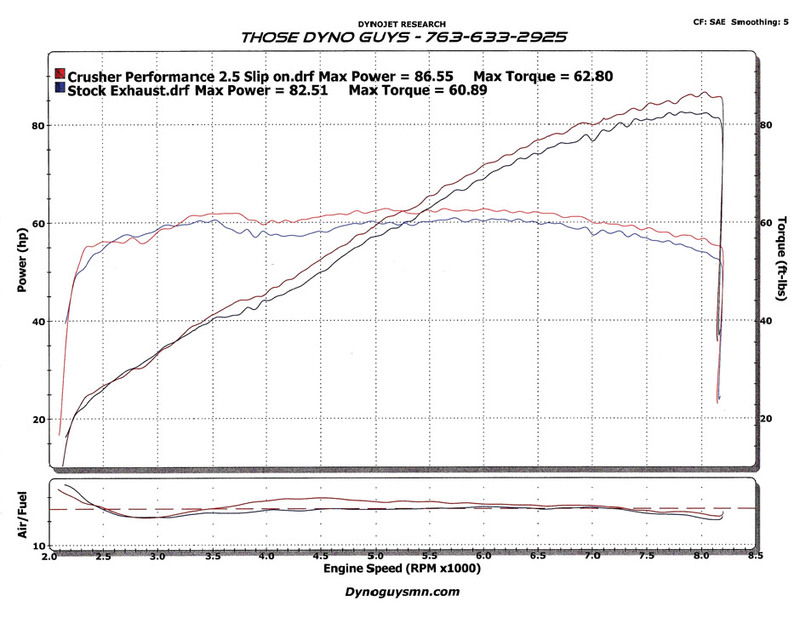 Shed pounds and gain a 5-percent increase in horsepower without intake or header upgrades. 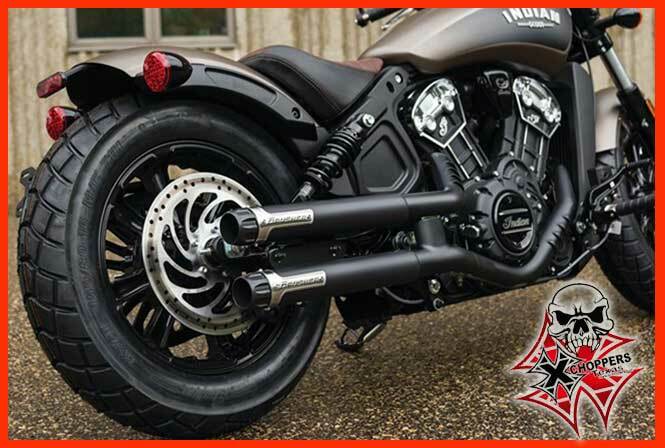 The slim 2.5" muffler diameter flaunts the Scout's smooth lines and matches the stock headers to preserve the lean profile of traditional staggered dual exhausts. Featuring aggressively styled billet aluminum tips with high-temp black ceramic coating and brushed stainless steel banding with the Crusher emblem. High-flow baffles produce a throaty exhaust note when cracking the throttle. Made in the U.S.A. Emissions Notice: Cannot be shipped to California customers unless used off road ONLY.